There are some things in this life you can count on. You can count on the sun to rise in the east and set in the west. You can count on most politicians to keep their own self interests above those of their constituency. Most importantly, you can count on Crew54 to always lace listeners with bars on bars on bars over rock solid beats. The guys have been talking up Slap Rapz 2, a collaboration with producer CientifiQ, for quite a while, but the wait has been well worth it. If you find yourself expecting run of the mill quality because these cats are ‘local’, go ahead and slap yourself for being shortsighted. These tracks could fall right in line with anything currently playing on the radio, TV, and so on… the songs are structured tight, the wordplay is enticing, and the chemistry between Crew54, CientifiQ and the featured artists is volatile in the best ways. Definitely an early contender for tops of 2018. Everybody already knows that Crew54 can chop it up with the best of them on any topic. They prove it time and time again with each new episode of the Wyld Gents podcast. For episode 19, the title Real Hip Hop Fans Are The Worst is incredibly appropriate. M.o.S. and GChrist are known for their strong stance on those fixed in their ways when it comes to hip hop, and they’re able to eloquently lay down how hypocritical and short-sighted that stance can be, as well as how it can ultimately stunt the creative growth of the culture. I love what these guys are doing, and one of these days I’d love to try and hold my own as a guest on this hilarious podcast… hilarious, but always thought provoking. Crew54 is pretty much synonymous with dopeness in all forms of media these days. MOS‘s DVZN Media is becoming a force to be reckoned with, so you know when it’s applied to a Crew54 track, the outcome will be pure quality. They’re definitely bringing that boombap era look back for a new set of eyes and ears. Keep up the good work, fellas. GChrist and M.O.S. both fired warning shots at you. 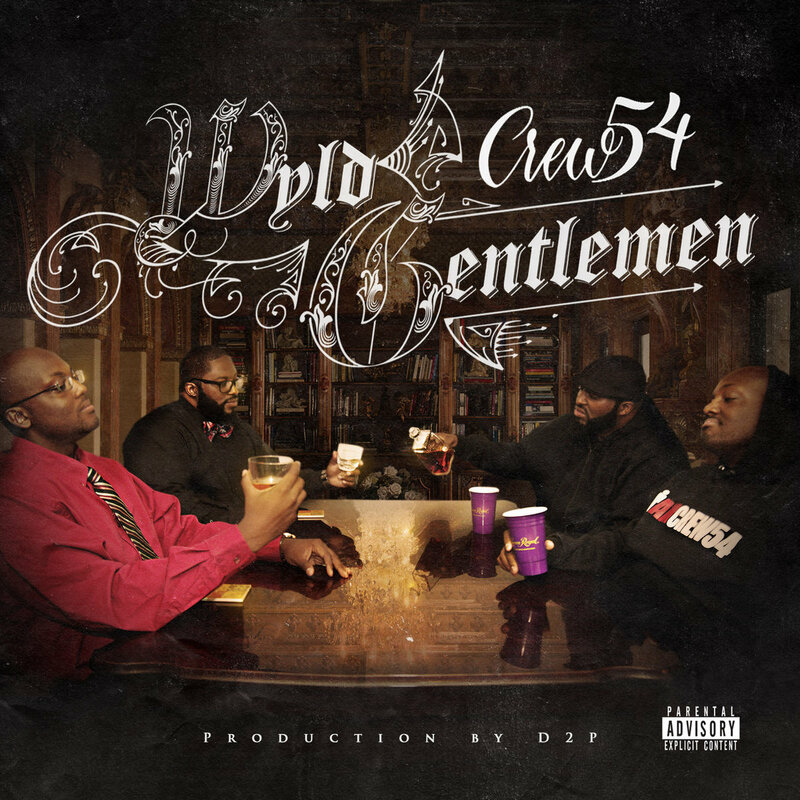 Now, the Crew54 has reconnected like Voltron to release the highly anticipated Wyld Gentlemen. These cats come with it in all aspects of their creative expression, so I am very much looking forward to taking this album in, and seeing what kind of visuals they release to accompany these potential bangers. Drop them a few bucks, and get your people to do the same.